I love celebrating my kids birthdays every year. It’s so fun to have one day just focused on helping them feel important and loved. I try really hard to give them a special day to remember, WITHOUT spending very much money. I truly believe that you do NOT need to spend money to help a child feel special. 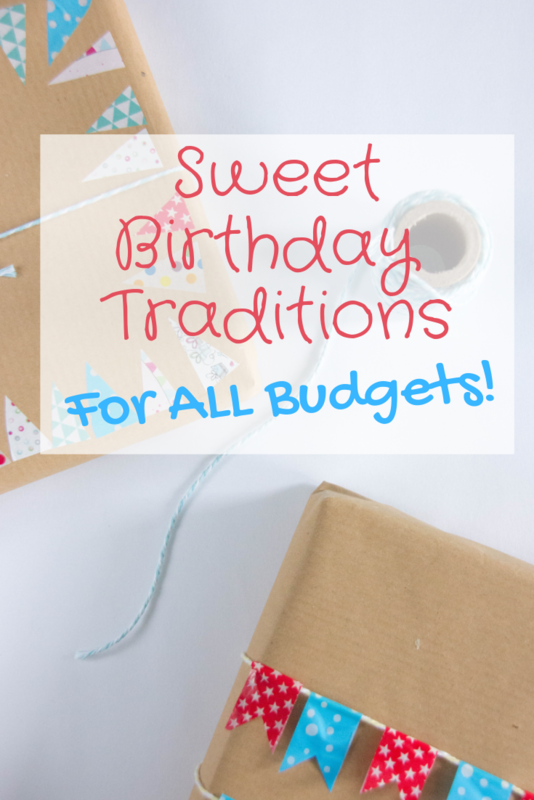 Here are a few of our favorite frugal birthday traditions. The night before a birthday birthdays, I sneak into their room after they fall asleep, and decorate. 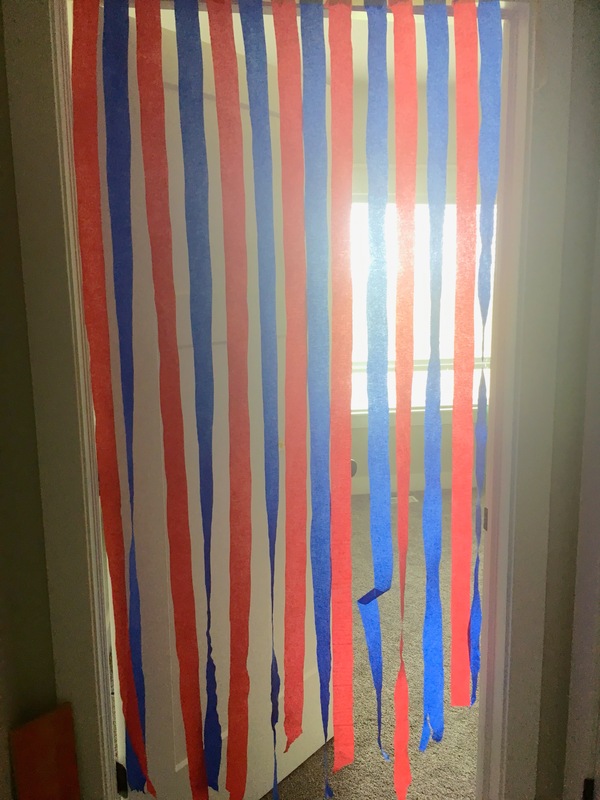 I fill the floor with balloons and hang streamers from their doorway. They know every night before they go to bed what will happen, but they still love it. It’s so fun for them to wake up to a party! The birthday child always gets to choose what I make for dinner. If they choose pizza, I make pizza! If they want waffles, well then, I make waffles! This isn’t a hard tradition by any means, but my kids think it’s fun to get to be in charge of all the dinner plans. We have a special red plate at our house. We only get it out on a birthday, and the birthday child gets to eat dinner on the red plate. This is a tradition I grew up with and have enjoyed carrying the tradition on with my own children. 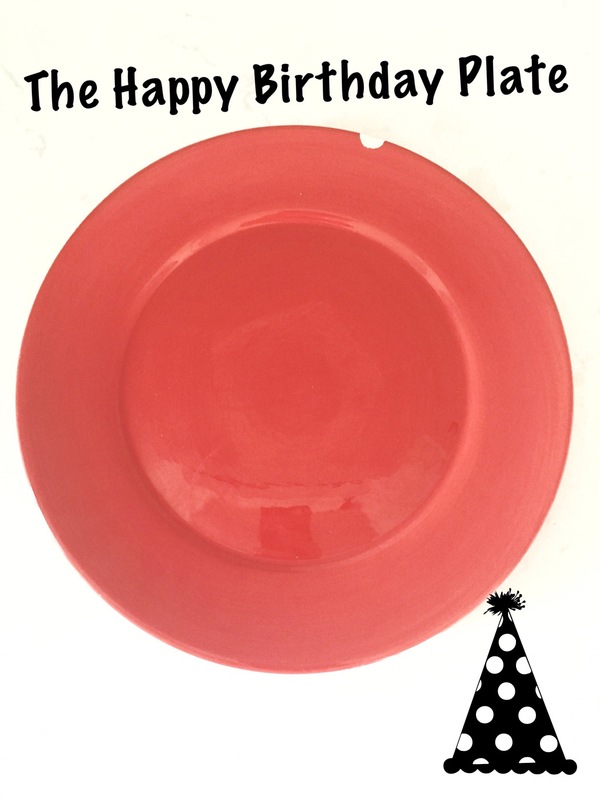 It’s so simple, yet for some reason, it brings so much joy to whoever gets to eat on the birthday plate. Yes, it has a chip on it, but that is just part of the memories from this long loved plate! While we are eating dinner we take turns going around the table and every family member shares something they love about the birthday child. I love this time with my family. I love focusing on all of the many wonderful qualities in each of my kids, and getting to hear them express these to each other. At bedtime I lay with the birthday child and share the story of their birth. I try to go through all the details of their day years ago, including every up and down. I always end with sharing how that day was one of the most special, important, beautiful days of my life and I talk about just how perfect my life has become because they were born. These traditions do not cost much money. I spend a few dollars on streamers and balloons and these usually last me a couple of years. 10 years ago I bought a red plate for $5, and it is still being used and loved. It does NOT take a “pinterest worthy” birthday to celebrate a loved one. All it takes is a little thought and a lot of love.